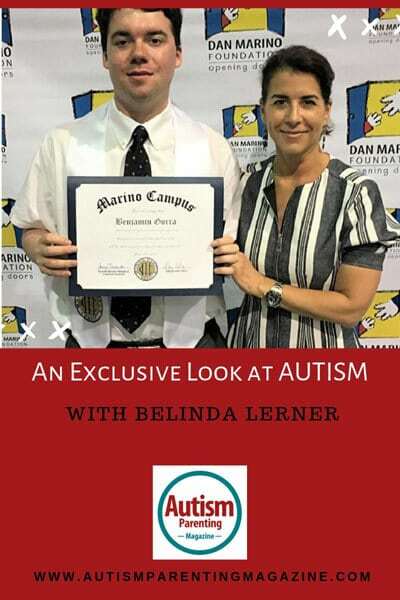 Today’s AUTISM Interview is with Belinda Lerner who is the Executive Director for the NFL Player Care Foundation and Vice President of NFL Alumni Affairs and Retired Player Programs and also the Mother of Ben, who is autistic. Ben is now 23 and lives in Florida independently with the help of a foundation. He works in guest services for Hard Rock Stadium part-time and attended Dan Marino’s School. He was also the focus of an ESPN feature. In her role for the NFL Player Care Foundation, a 501 (c)(3) dedicated to assisting former players live healthy, productive and dignified lives after they leave the game, she is responsible for directing all the Foundation’s operations including grant distribution and managing charitable partnerships and programs. As vice president, she represents the NFL in a variety of collective bargaining and legal matters focusing primarily on player disabilities and health and wellness programming. From 2002 through 2008 Ms. Lerner was the NFL’s Senior Director for the Human Resources department. She was responsible for the NFL’s Policies and Procedures, Management Practices, Work/Life Programs, Learning and Development, and Diversity. She was also appointed by Commissioner Tagliabue to act as the first co-chairperson of the NFL Diversity Council, a role she held from 2002 through 2007. In addition, she was the first to act as the NFL League Compliance Officer responsible for overseeing and enforcing the NFL’s employment policies, including its Ethics Policy and its Anti-Harassment and Discrimination Policy. Ms. Lerner was the first female attorney to be employed by the NFL when she was hired in July 1993 to work by the NFL Management Council. During her tenure with the NFL, she negotiated the first collective bargaining agreement with the NFL game officials union and has represented NFL clubs in numerous arbitration hearings and has provided them with advice and counsel on a variety of collective bargaining and employment issues. Before being employed by the NFL, Ms. Lerner served as a Field Attorney for Region 2 of the National Labor Relations Board, where she investigated and litigated a wide-range of Labor Relations charges and complaints. The National Football League is not the only professional sports organization for which Ms. Lerner has worked. While attending law school, she was a law fellow for the Major League Baseball Players Association and prior to law school, Ms. Lerner was the Public Relations Manager for the National Hockey League. Ms. Lerner was born in Queens, New York. She graduated with honors from Barnard College in 1983 and graduated from Hofstra University Law School in 1990. Ben was diagnosed slightly before his second birthday while I was on maternity leave with my daughter. I suspected something was wrong, but tantrums were explained as colic, lack of language as “boys develop later than girls,” and other behavioral/developmental issues that could be explained by environmental changes such as moving to a new home and the addition of his new sister. There wasn’t much literature or awareness and maybe a dose of hopeful denial that Ben’s delays were within normal limits. When the diagnosis came, we were told it was PDD-NOS. When I asked what that was, I was told pervasive developmental delay—not otherwise specified. When I asked again what that was, the answer was autism. I was stunned, but at least I had a diagnosis and could begin understanding what I needed to do to help Ben. 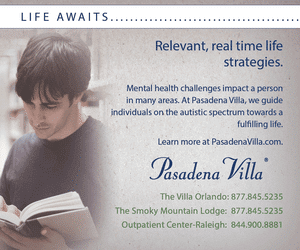 The distinctive piece of autism is that no two autistic children are alike. 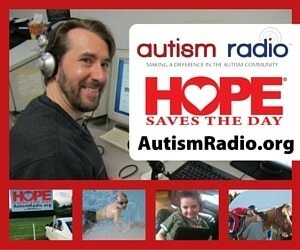 There is a saying—if you’ve met one autistic child, you’ve met one autistic child. There are certainly common traits, but they manifest differently in each child. The treatments, the behaviors, the prospects for moving toward independence are unique and unknown for each. The challenge and the gift are to see those unique qualities and to value and love them. Ben has many special qualities, but he’s unique in making everyone a better person upon meeting him. He can be transformative. 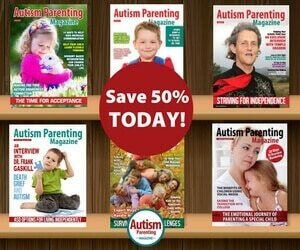 What tools are there now that were not there at the beginning that could help other parents? There is far more information, research, treatments, and support systems now than ever before. Significantly, far more awareness. Everyone knows someone touched by autism. This new awareness allows for compassion and support. When Ben was a child throwing a tantrum or acting inappropriately, people would stare and assume he was misbehaving or spoiled – a product of bad parenting. Now, people are more educated and don’t jump to those conclusions as readily—parents with children on the spectrum can find support and even kindness. Ben has inspired me to see the world through a different prism. To get comfortable being uncomfortable. It’s hard to be the parent of a child on the spectrum and be a conformist or complacent. Although all parents want to advocate and protect their children, there is no resting with a child on the spectrum and, if you are open, you can learn to value that which is overlooked or unappreciated. One of Ben’s many gifts is his purity—his genuineness. As an adult, it’s easy to grow towards cynicism, but Ben’s guilelessness defuses cynicism. It’s like pure oxygen to the soul. I’ve been very lucky to have a strong support system with my family, friends, and colleagues. I am even luckier to have a daughter who has grown into a beautiful young woman despite having her childhood eclipsed by autism. However, most recently I see a need for efforts to help adults on the spectrum become contributing members of the community. Ben is now 23 and able to hold a part-time job and live semi-independently, but the resources are scant in employment and expensive in housing for adults on the spectrum. Not only do I believe that these resources will benefit them, but I also believe that helping people on the spectrum to be an involved, integrated part of the larger community will benefit everyone. Don’t be afraid to seek or accept help. At first, I was self-conscious about pursuing services or accommodations for Ben, but they exist because they are needed. I came to learn people really want to be supportive. Change your benchmark. Don’t measure successes based on metrics set for others. Being like everyone else is overrated. Finally, forgive yourself. Being the parent of a child on the spectrum is emotionally, physically, financially and intellectually draining and there is no right answer. We accept our children’s limitation, let’s accept our own. Derrick Hayes is an author, motivational speaker, and paraprofessional in the Muscogee County School District in Columbus, Georgia.